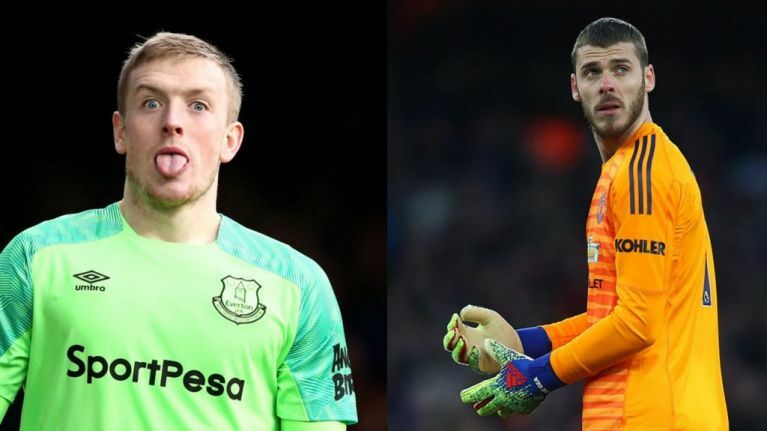 Manchester United are reportedly considering Jordan Pickford as one of two possible candidates to replace David De Gea - should the Spaniard fail to agree a contract extension. Talks over a new deal for De Gea have stalled with the goalkeeper, one of a dwindling number of Premier League winners in United's current squad, said to be asking for £350,000-a-week to stay at Old Trafford. 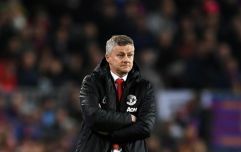 Paris Saint-Germain are said to be targeting him, and though United are not believed to be entertaining the idea of letting him leave this summer, the Express report Ole Gunnar Solskjaer has looked at replacements. 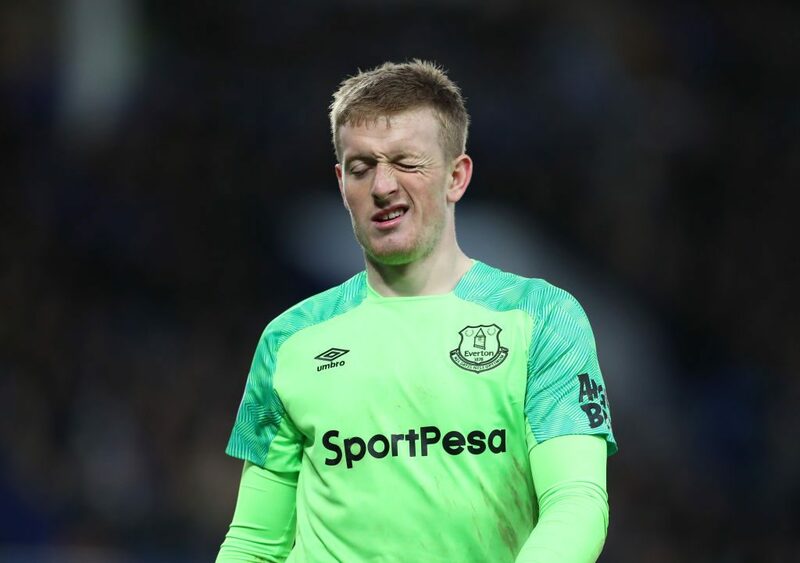 Pickford, who United have a long standing interest in, is said to be on the two-man shortlist with Atletico Madrid's Jan Oblak. The Everton goalkeeper is said to have impressed former United boss Jose Mourinho as he helped England to last summer's World Cup semi-finals - saving a crucial penalty from Carlos Bacca in the last 16 shoot-out win over Colombia. Despite Mourinho's departure and his dip in form this season, he remains on United's radar under Solskjaer. Though the report claims United may have to fork out as much as £60m to prise him away from Everton, he would be a cheaper option than Oblak. The Slovenian is widely regarded as one of the best goalkeepers on the planet and was linked with a move to Chelsea following Thibaut Courtois' move to Real Madrid last summer. Chelsea eventually settled on a £71m-deal to bring in Kepa Arrizabalaga from Athletic Bilbao. Atletico are thought to want as much as £85m for Oblak, who turned 26 in January.